I am a native Floridian and have lived in Seminole County for most of my life. I graduated from Florida State University, where I studied Food and Nutrition Sciences. I enjoy my career as a Registered and Licensed Dietitian. I have a passion for teaching people how to live a heathy lifestyle through clean, organic eating and plenty of exercise. I teach exercise classes, with a fondness for yoga. I am also a mother of 2 young sons, which is my favorite job of all! In my spare time, I enjoy being outdoors. I like biking, hiking, kayaking and exploring nature. I have been gardening at home for the past 4 years and have been working on turning my backyard into a pesticide-free, pollinator-friendly gardening habitat. I also raise butterflies, which is so much fun! It brings me much happiness to watch things grow and blossom into beautiful things. 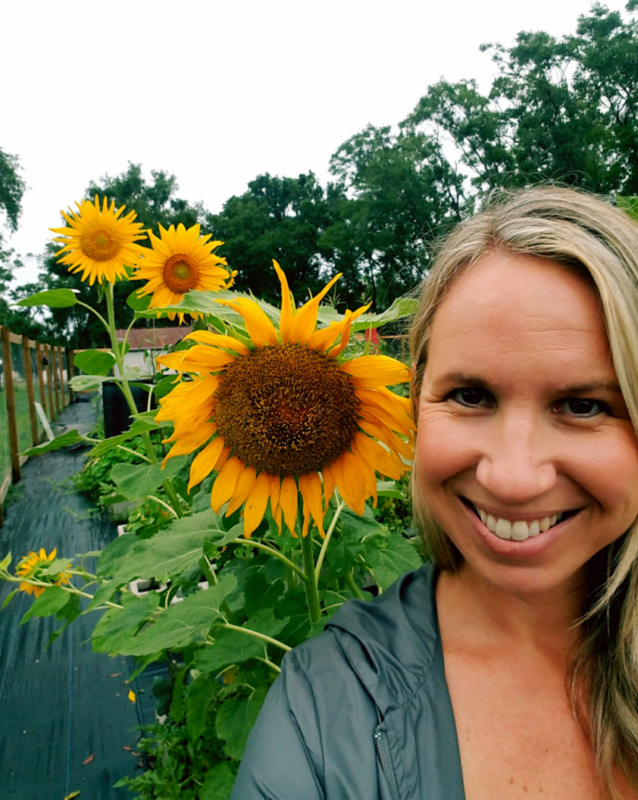 I started at the Sanford Community Garden in February 2018, and I immediately fell in love with it! Coming to the garden is my little daily escape. I lose track of time when watching butterflies dance around, listening to the birds and bats singing, and checking on my crops growth. It is truly a little slice of happiness. I have had the honor of running the Garden Kids Plot this year also. Teaching the kids how to grow organic foods while caring for the environment is so important. I look forward to becoming more involved in the garden’s continual growth and beauty.